This combination of images made available by NASA shows areas of low ozone above Antarctica on September 2000, left, and September 2018. 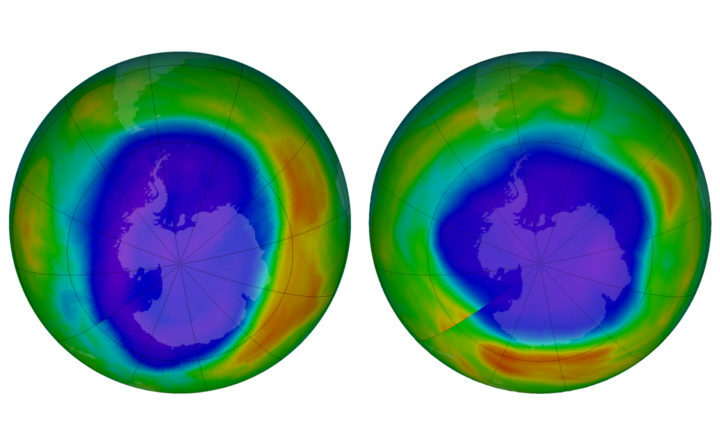 The purple and blue colors are where there is the least ozone, and the yellows and reds are where there is more ozone. A United Nations report released on Monday says Earth’s protective ozone layer is finally healing after aerosol sprays and coolants ate away at it.